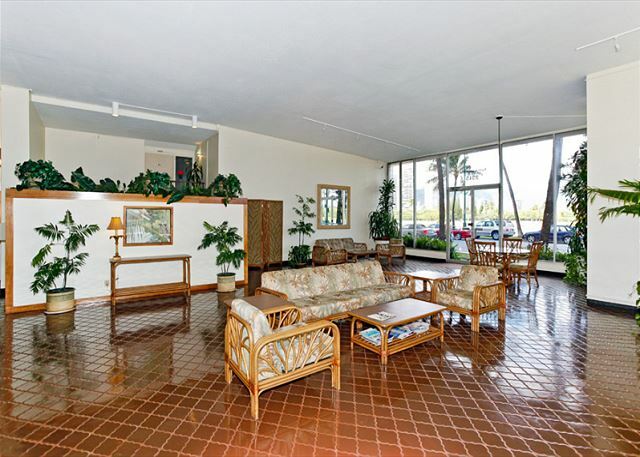 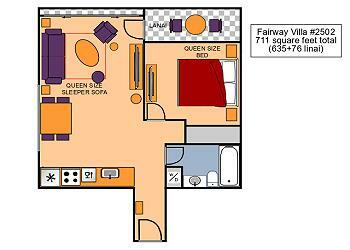 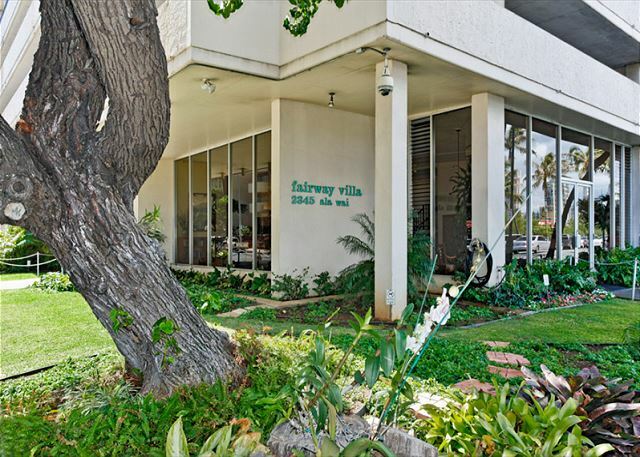 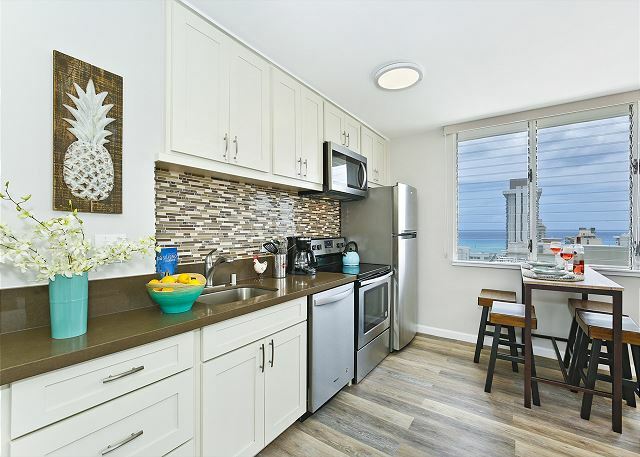 Fairway Villa #2502 - High Floor with Ocean View! 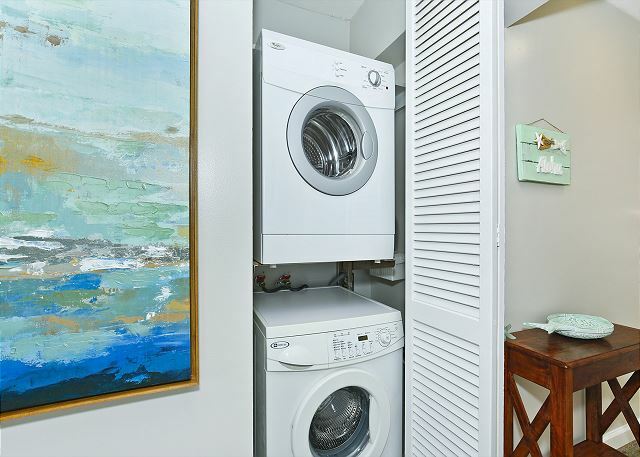 Bedroom A/C, W/D, WiFi, Parking! 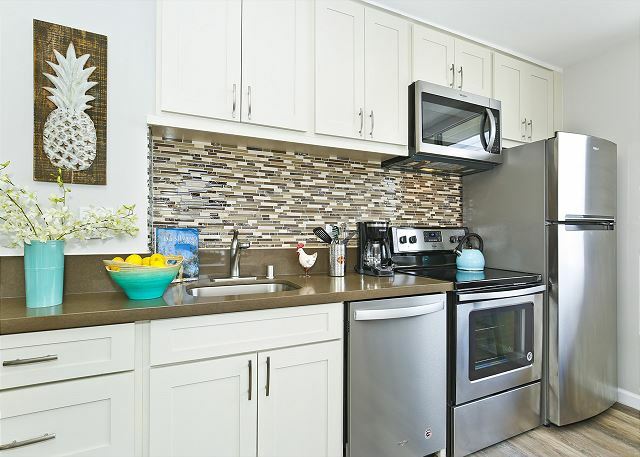 NEW TO OUR INVENTORY and NEWLY RENOVATED! 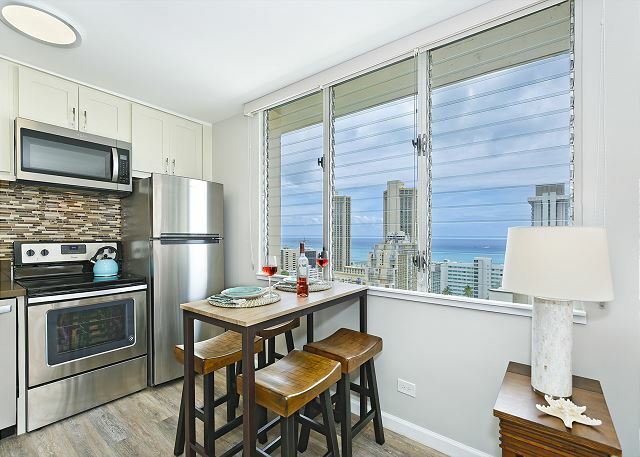 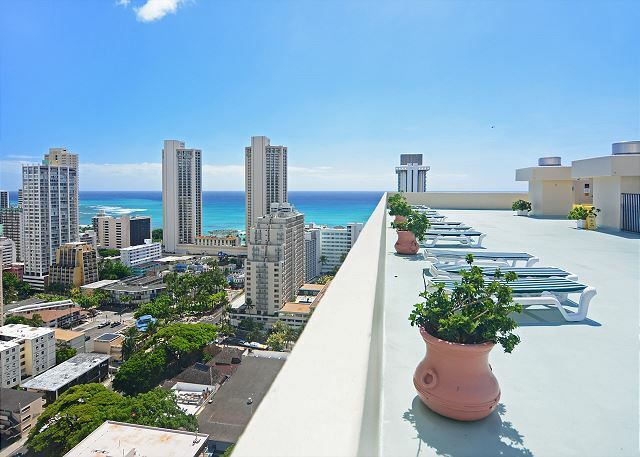 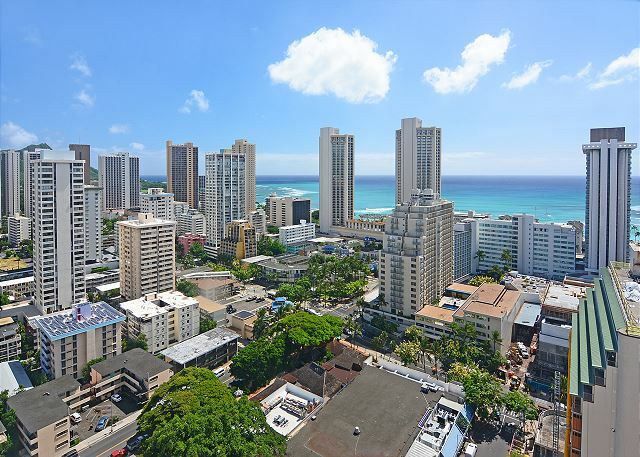 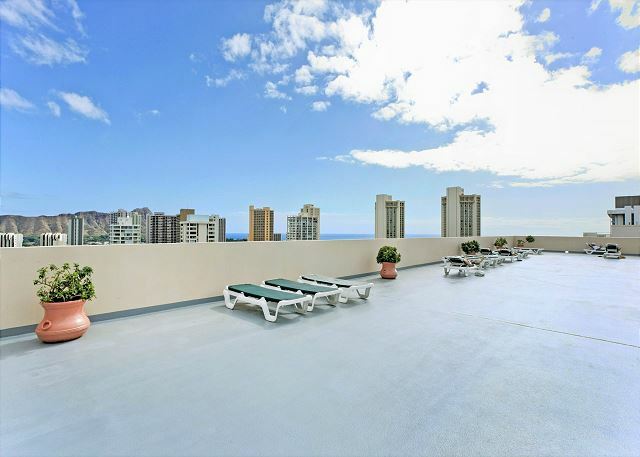 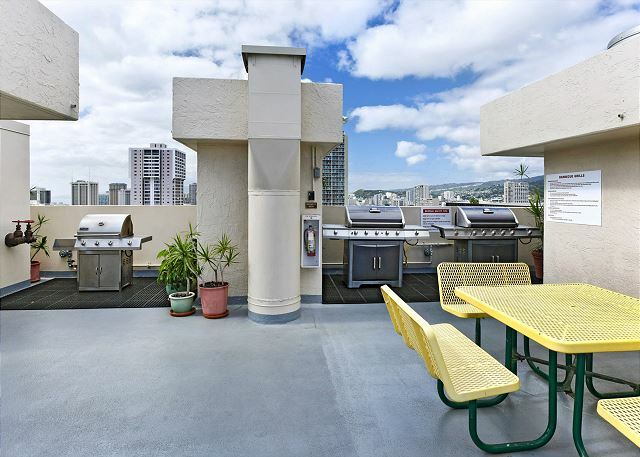 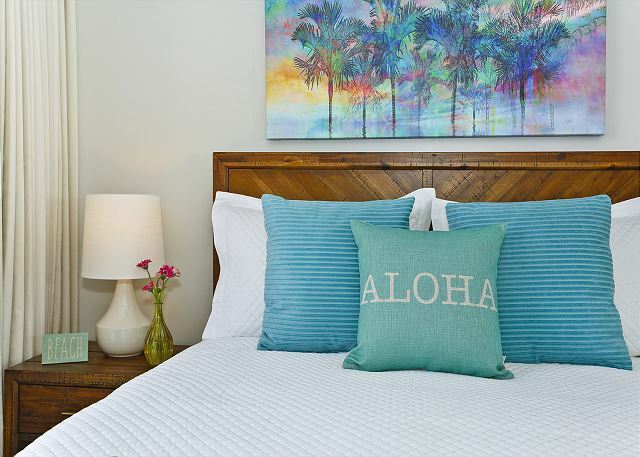 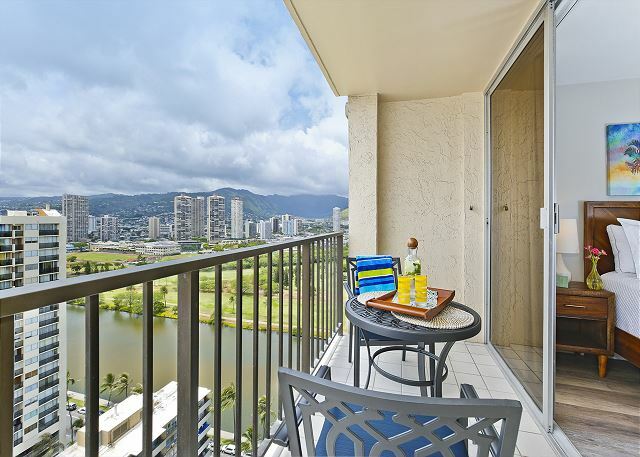 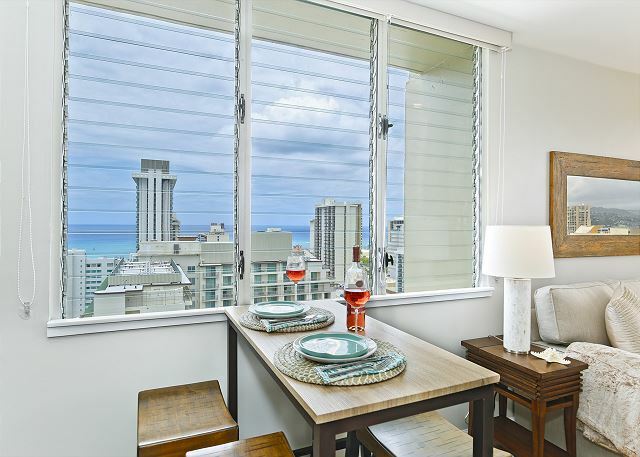 Terrific views, contemporary/Hawaiian design, relaxing and close to everything! 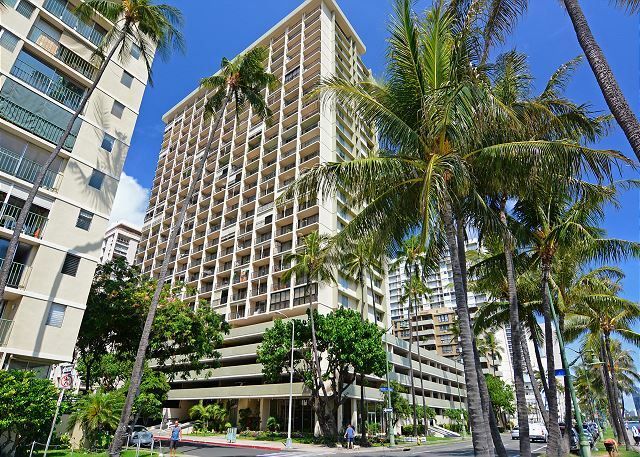 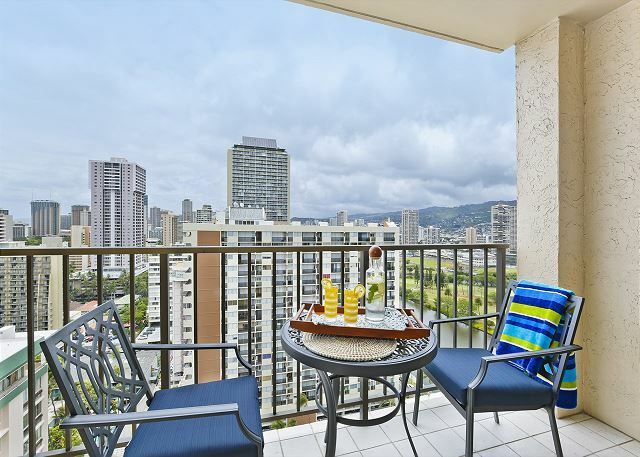 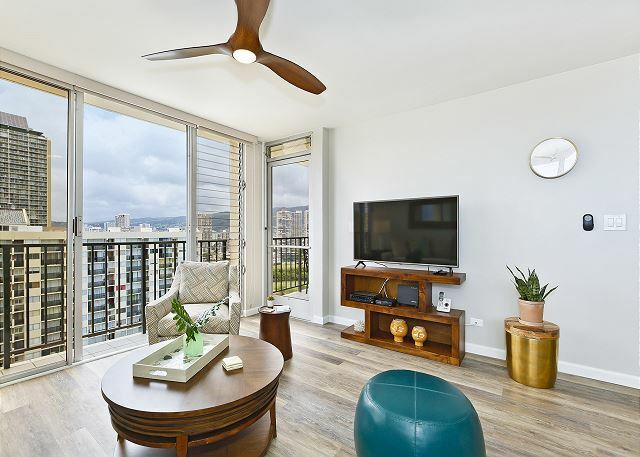 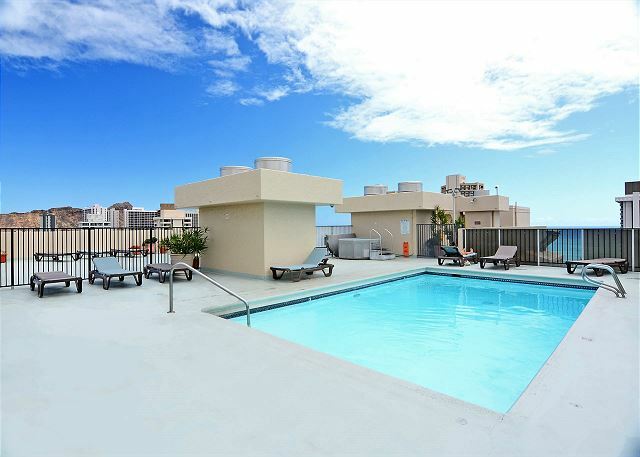 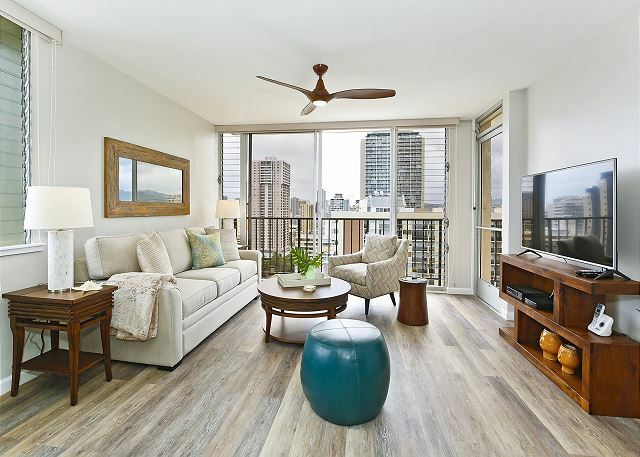 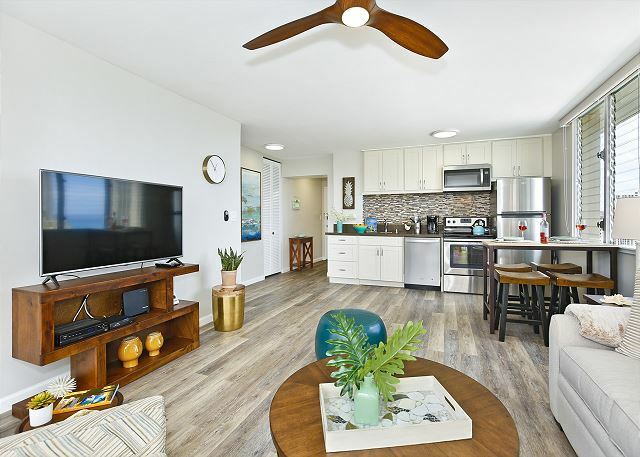 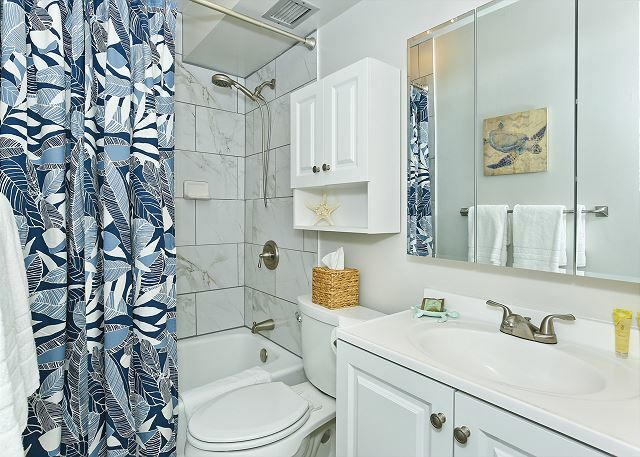 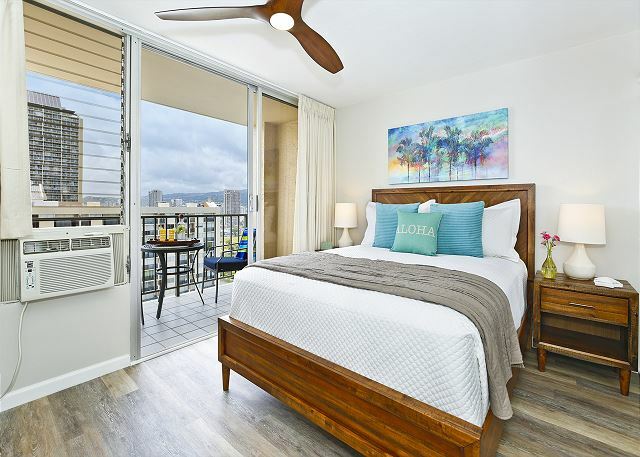 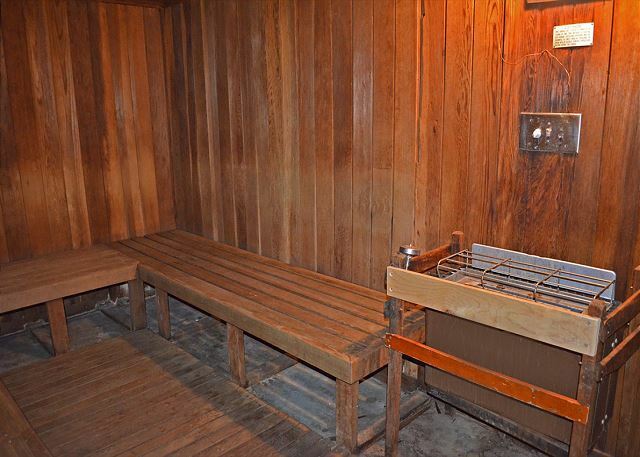 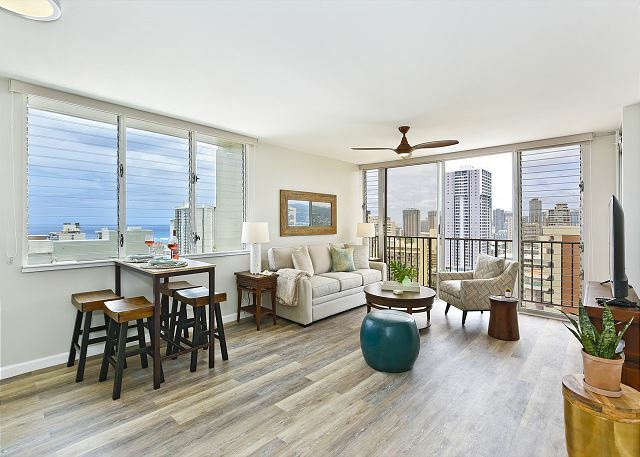 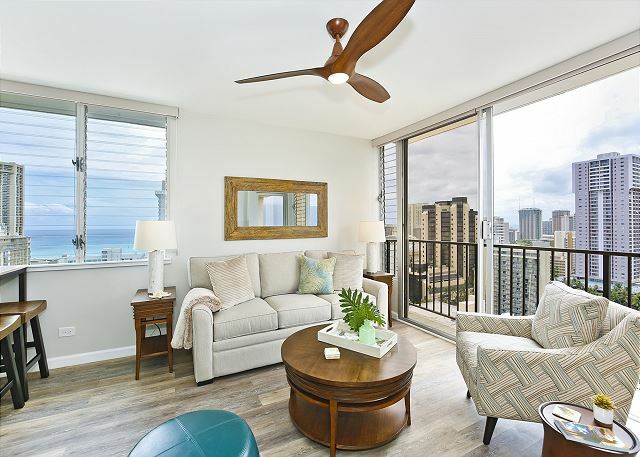 This fresh, quiet corner one-bedroom condo (635 interior sq.ft, plus large (76 sq ft) balcony/lanai with table and chairs) with bedroom A/C (great cross-breezes throughout!) 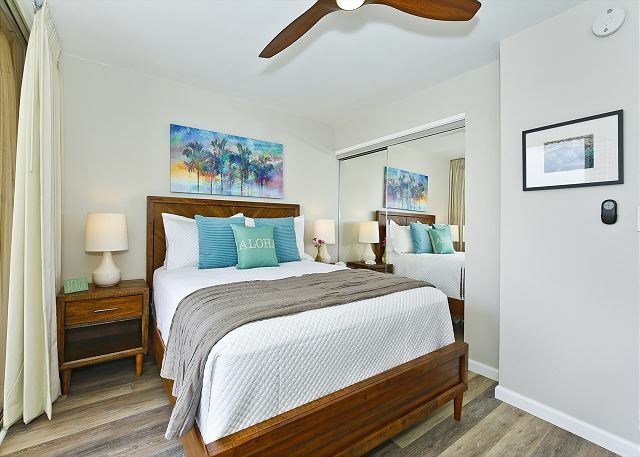 and Luxury Vinyl Plank flooring.